I am a person that really appreciates goals and lists of things I'd like to accomplish. Maybe they are lists for a season or a particular day, but either way, it is what helps me stay focused on the things I want or need to do. The New Year is no different! There is just something about the promise of a new set of 12 months and the entire month of January that is just so great. I definitely love taking advantage of this time to have a fresh start and reflect on where I'd like things to go this year. So, without further ado, here are my goals for 2016! + Travel! Perhaps to Utah or Chicago or Las Vegas or maybe something bigger. I'd love to go somewhere for our 5th anniversary! + Stay connected with friends and be a good friend even when things get busy. + Pursue photography as a side business (hey, I have a site now!). + Work my hardest in school! + Build my savings and pay off credit cards. + Have an internship in my field to gain more experience. + FINALLY make a scrapbook. + Be active and try out different types of exercise to find something I like. No excuses! + Be more intentional about drinking water each day (I even have a Smart Lid bottle now!). + Go to bed a decent hour so that I can get enough sleep and be refreshed for the next busy day. + Consistently eat well and do at least two more rounds of Whole30. + And through all of that... Lose weight. + Get back into posting consistently, maybe by scheduling dedicated blogging time into my routine. + Collaborate with more brands and other bloggers. + Plan a blogger event here in the Bay Area. + Be better at engaging with other bloggers by leaving comments, finding new blogs, etc. + Start giving Blog Buddies Network more love and make some changes within it. To be quite honest, they are pretty similar to my 2015 goals, but I'm giving these things I still need to work on another shot. I believe that life is about learning and growing, so I am not ashamed that a year later I still have similar things to work on. I just want to take this opportunity to approach these goals a bit differently this time! 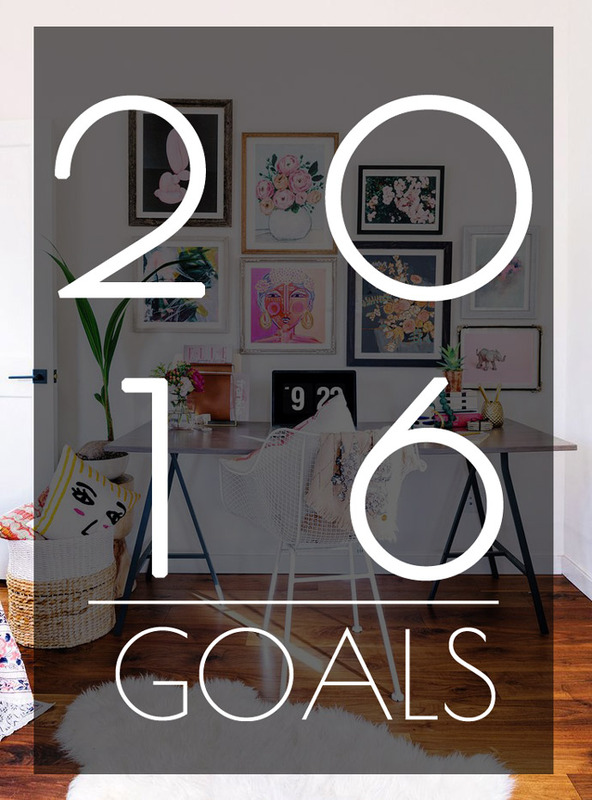 What are your goals for 2016? Do you like to set goals for yourself?